A blue duiker reseting in the hay at Lowry Park Zoo. 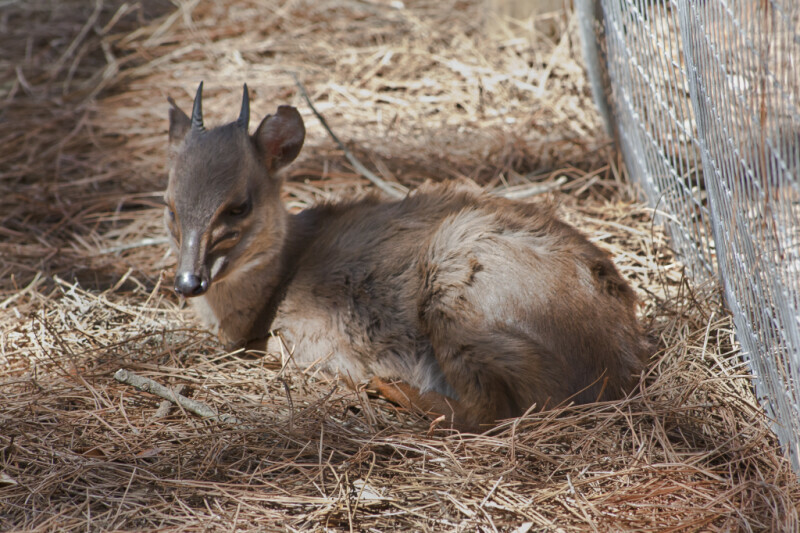 Duikers are small antelopes of the African forests and bushlands. When disturbed by a predator, they run very fast through the foliage, plunge into thick cover and freeze to avoid detection. This trait is the source of the name "duiker", which in Afrikaans (a dialect of Dutch) means "diver".